We applaud you for taking the first step to curb drunk driving by looking for creative alternatives to alcoholic beverages. 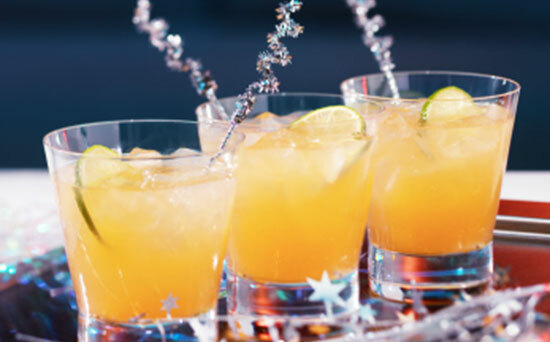 We've compiled drink recipes and mixology tips from all over in order to provide you with some "soft" options at your next party. You'll also find a wealth of information regarding drunk-driving laws, social host responsibilities, and alcohol related statistics. Put a fun twist on your next party with these greats mocktails. Being the designated driver doesn't mean you can't be the life of that party. With these great drink recipes, impress you friends with your mixology skills. Turn your friends on to these delicious drinks and have fun with your new creations. Be sure to know who's responsible in a drunk driving accident. Sometimes, it's not just the impaired driver. You can enjoy these non-alcoholic options all year round. Whether you're looking for something softer to serve at your next get-together, need a fun alternative for the kids, or are just interested in creative new drinks, the following mocktails can make any afternoon a little more delicious. An age-old indicator of summertime. Combine lemonade and iced tea in a tall glass or pitcher. Add ice, stir until chilled, and serve. A year-round blend of citrus, cranberry, and fizz. Mix cranberry juice and limeade concentrate in the pitcher. Slowly pour in lemon-lime soda. Garnish with a few cranberries and slices of lime. Use sparkling cranberry juice for a bit more fizz. Cool and refreshing, a fruity take on cucumber-infused drinks. Stir together water, ice, lemonade powder and grape juice concentrate in the punch bowl. Float lemon and cucumber slices on top. Let cucumber and lemon slices sit in the water for a few hours prior to mixing and serving. Fill a circular cake pan with ginger ale. Place 1 cup berries in the cake pan, then freeze until solid. Remove cake pan from freezer and place frozen ginger ale ring in punch bowl. Pour 1 bottle ginger ale, pineapple juice, and white grape juice over the frozen ginger ale ring. A lime-and-mint interpretation of the iconic Cuban cocktail. Combine 2 cups water with sugar and heat in microwave-safe bowl for 5 minutes on high. Stir the mint into the mixture. Let stand for 5 minutes. Strain and discard the mint leaves from the mixture. Set aside. Stir lime sherbet, lime juice, and 1 cup water in a large pitcher until well-combined. Pour mint and sugar mixture into pitcher. Add club soda and stir. Serve over ice. A drinkable version of the Creamsicle you used to chase ice cream trucks for. Carefully remove the rind from the oranges and section them in a small bowl. Squeeze any remaining juice from the rind over the sectioned oranges. Divide the oranges and vanilla mixture in half and transfer into two tall glasses or mugs. Add two scoops of ice cream to both glasses. Top off with the club soda. Stir once and serve immediately with a straw, and a spoon if desired. For more orange flavor, use orange soda instead of club soda. The best way to get your daily vitamin C.
Empty orange juice concentrate into pitcher. Slowly pour in the ginger ale. Gently stir until all of the orange juice is mixed in. Add ice and all but 4 of the orange slices. Pour the drink into 8 glasses. Cut the remaining 4 orange slices in half and garnish the glasses with half an orange slice and a cherry. Pour the ginger ale as slowly as you can to keep the carbonation. Add cherry juice from the jar of maraschino cherries for more cherry flavor. Don't like the combination of ginger ale and orange juice concentrate? Substitute ginger ale for sparkling water or club soda and 100% orange juice for the concentrate. Traditional and just as sweet. Pour soda and grenadine over ice in a tall glass. Add as many cherries as desired. Don't have grenadine syrup on hand? Splash in some cherry juice. An instant vacation for those cool summer nights. Puree the bananas and diced pineapple in blender until smooth. Add pineapple juice and coconut milk to the blender, then ice. Blend until smooth. Divide among 4 glasses, garnishing with pineapple wedge. Add a few maraschino cherries for the traditional version of the drink. Need more sweetness? Substitute coconut milk for canned coconut cream or add 1-2 tbsp. agave nectar. F1. Puree tomatoes in blender until smooth. Add lemon juice, jalapeños, horseradish, Worcestershire sauce, sugar, celery salt, and pepper, and pulse until mixed through. Place mixture into a refrigerator-safe container and chill for about 2 hours. Get creative with your garnishes. Add carrots, celery stalks, or dill pickle spears. Want more heat? Add 1 tsp. Tabasco sauce, or other hot sauce, to the mix. Subtly sweet, from the bodegas of Central America. Combine 4 cups watermelon, 1/2 cup water, 1/4 cup sugar in blender, pureeing until smooth. Pour through a coarse strainer into a large container. Repeat with remaining watermelon, water, and sugar. Refrigerate for about 4 hours or until chilled. To serve, stir in club soda and garnish with lime. You can make this drink up to 2 days ahead of time. Just puree all the watermelon, sugar, and water and keep refrigerated in the container. Experiment with other fruits if watermelon isn't your favorite: Mango, strawberries, cantaloupe or honeydew are all good options.